A Noble Prize winning physicist at England’s famous Cambridge University believes Andrea Rossi’s claims about the Energy Catalyzer. In a youtube clip recorded with a colleague, Brian Josephson stated that he thinks the Energy Catalyzer works and is producing energy. Josephson did not say how the catalyzer works but speculated that the device may concentrate energy and somehow force hydrogen out of nickel. In the clip, Josephson compared the reception Rossi has received to the media’s reaction to the Wright Brothers’ first claims to fly. Josephson noted that some newspapers and others refused to believe that the bicycle mechanics had actually flown a plane at Kitty Hawk, North Carolina, in 1903 when they actually had. Josephson correctly noted that there is nothing in current physics to explain the functioning of the Energy Catalyzer. He admitted that he does not know Rossi and has not seen the inside of the device so his claims are speculation. Josephson also speculated that scientists could be ignoring the Energy Catalyzer because Rossi has refused to publish scientific papers about it. He noted there is a separation between the practical world and the academic world and that academics want theory while Rossi is attempting to get practical results. 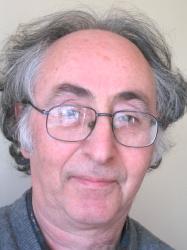 Brian Josephson won the Noble Prize for discovering the Josephson Effect in 1973. The effect is the basis of Josepshon junction which is employed in some chips used in digital electronics. Josephson discovered the effect while doing pioneering work on superconductivity. Josepson is currently a fellow at Trinity College Cambridge and a retired professor. He is also head of the Mind Matter Unification Project at Cambridge which tries to document intelligent processes in nature. He is also a well known exponent of the view that some paranormal activity could be real. Some internet sources note that Josephson could be updating the Wikipedia page on the energy catalyzer.